The traditional groom, who does not get involved in wedding planning and whose sole job is to show up. The modern groom, who is actively involved in the wedding planning process whether it is completing tasks, going to vendor appointments, or just providing his opinion. I read an article recently, that said the modern groom is on the rise. I was happy to learn this because, in my opinion, that is how it should be. Marriage will be a joint effort, where both husband and wife must participate for it to work. Seeing as your wedding day is the kick off for the rest of your lives together; it makes sense that a couple would share wedding planning duties. I realize some brides may prefer their grooms to be minimally involved, but whether he is or is not should be discussed before any plans get underway. The Wedding Day: The theme, ideas, location, time of year, etc. Involvement: How involved he sees himself being in the wedding planning? How involved you see him being? Absolute Groom To-Dos: Picking his best man and groomsmen, getting thank you gifts for them, picking out his wedding band and attire, and providing names for the guest list. In addition, it should be discussed when these responsibilities should be completed. As I am of the view that if you prepare now, you can avoid issues later, I believe discussing these expectations early will assist in sidestepping conflict between you and your groom once planning gets underway. The Wedding Day. I recognize the bridal industry is very bride centric; it is even in the name. I also understand that as the bride you may have thought about this day for some time and had a vision in your mind for how it will go. Nevertheless, it is important to remember that it is not just your day. Just because your guy does not have a Pinterest board filled with wedding ideas does not mean he is without wants or insights for the day. Include him and his thoughts, do not discount them immediately, determine what is significant to him and why. By doing this, the wedding day focus shifts from the bride’s event to the bride/groom both in your mind and in his. Involvement. If you go into wedding planning believing this will be a shared process and he has the traditional groom mindset that it is solely your responsibility, you will likely find yourselves at odds later down the road. Discuss your expectations for involvement. If you see your expectations are not aligned, it will be the first of many arrangements you will have to work through. Absolute Groom To-Dos. Even if you and your groom decide you will be doing all the planning, there are still tasks that are specific to the groom. It is his responsibility to choose his best man and groomsmen and get them thank you gifts. 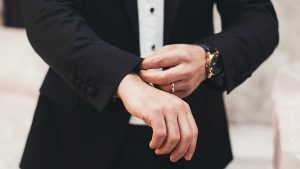 It is also the groom who should pick out his wedding attire (tuxedo vs. suit) and his wedding band, although I know brides do have input on these items. Keep in mind, if you are a bride that wants or has input, the groom has to wear the attire and the band, making sure his feelings take precedence here will help him to feel more comfortable on the big day. The groom will also need to provide a list of guests he would like to invite to the wedding, to make sure everyone he wants there is included. 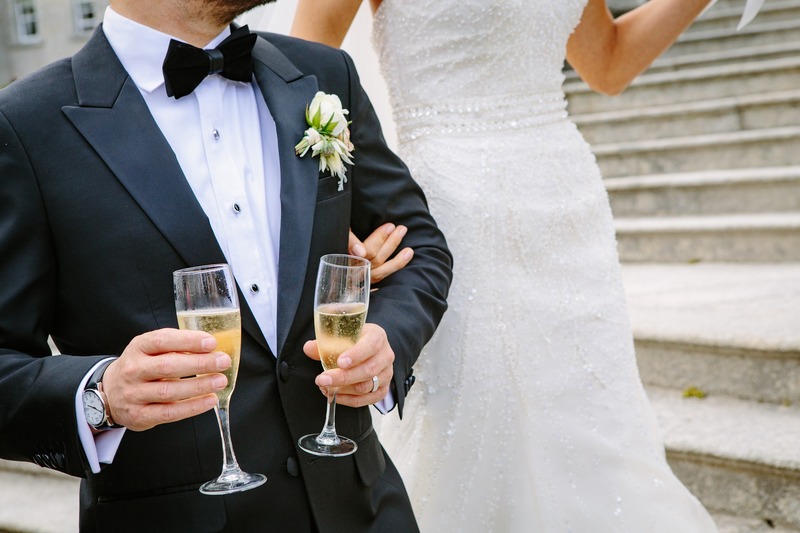 Whether your groom has only these tasks to complete or many others make sure you outline what his duties are and when each needs to be completed so that there is no confusion or scrabbling later. The expectation conversation may seem monotonous but is necessary to avoid misunderstanding, frustration, and possible resentment later. This entry was posted in Brides and tagged communication, expectations, groom, love, Relationships, weddingplanning, weddings.